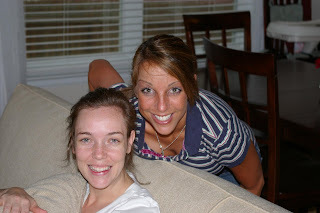 I love my sisters so much..... this is a nice picture of Lisa & Mary! our timecapsule of moments to remember ~ Loving Mary Forever! I wasn't there, but I wished I was. This picture was taken in San Antonio, just a few weeks before Mary left us - 3/22/08. i'm so glad you know that your sister and dad are already in heaven. They are having a glorious time with the LORD! Do you feel their presence at all at times? Hi rIn~ thank you for visiting.... I DO feel their presence at all times, but more at certain times. It's a beautiful feeling knowing that they are still with me. My faith in life after life on earth is so much stronger now. i witnessed a memorial service at my church just this afternoon for a beautiful and talented and much loved young lady...just 21 years old. And because she was a believer of CHRIST JESUS, we were all comforted that "absent in the body, present with the LORD" was her destiny, like your sister's. What a consolation for us who are left behind here on earth when our loved ones get the unexpected blessing of arriving in Heaven first -- to fall at JESUS' feet, to hear Him say, "Welcome Home!"